One rainy afternoon, before my evening class, I decided to try this ramen place that truth be told, I’ve never heard before. 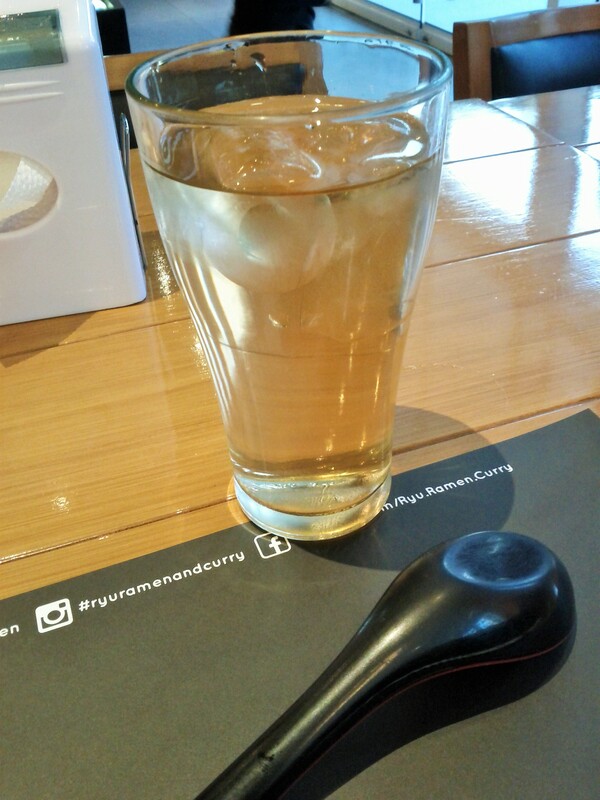 Ryu Ramen was something new, and perhaps something worth discovering. Since it was just me dining, I only ordered ramen, after all that was what they were trying to sell. 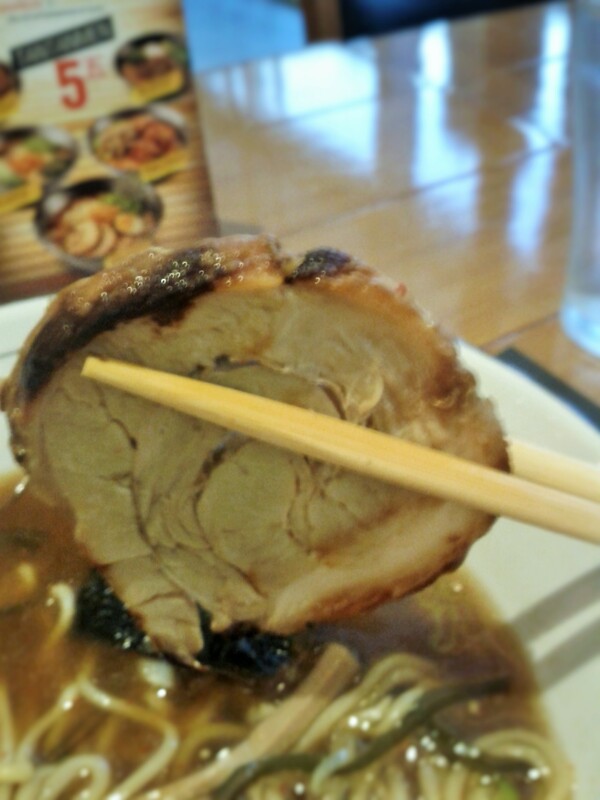 I got the Shoyu Ramen (PhP 345), the most basic of all ramen with pork slices and soy based broth. To pass judgment on a ramen house, the best bet would be to try the baseline dish, which is the shoyu (soy based broth, pork slices and noodles) these are the fundamentals of an authentic Japanese ramen. 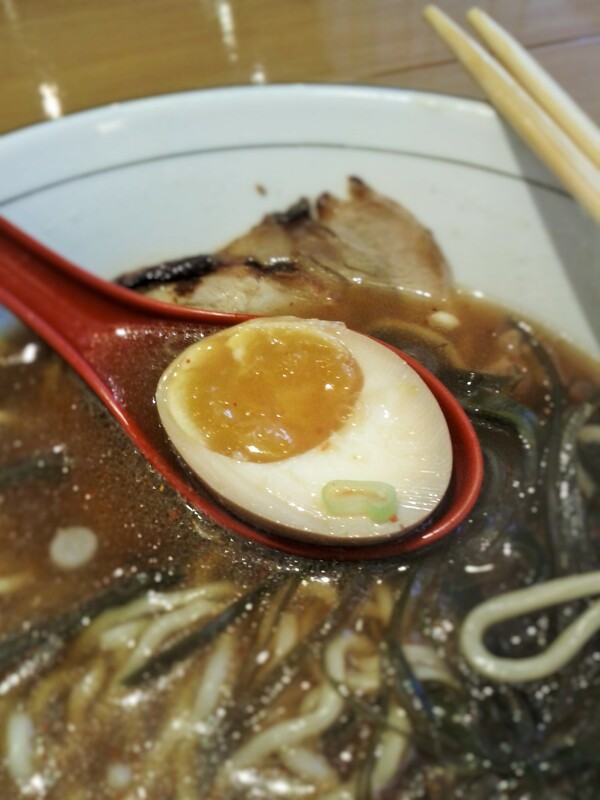 I was so pleasantly surprised with what I had, the broth was rich and tasted just right, not too salty and not too heavy. The serving portion was humongous, perfect for a hungry guy like me. It’s bigger than what they serve at Ikkoryu Fukuoka or the ramen joints at Little Tokyo. I think it would sufficiently serve two people. The noodles was cooked just right, nothing to say but good things, felt like it was artisan made and not like the ones we have with instant noodles. The pork slices were cooked perfectly, of all the ramen houses I have tried I would say it was one of the better selections if not the best. It made me wonder whether it was grilled or pan-fried as it had these little char marks that gave it another dimension to its texture. The Japanese marinated eggs were succulent and left me wanting more. 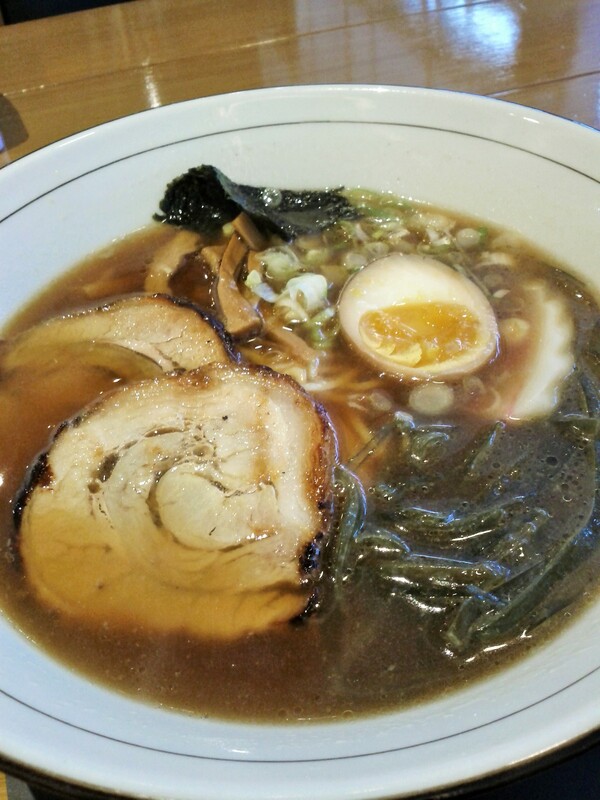 It tasted right, without the overwhelming saltiness of similar offerings in other ramen houses. They also served their house tea, it wasn’t off the grid but acceptable though I noted that it wasn’t as strong as other house teas, generally, good enough to have. 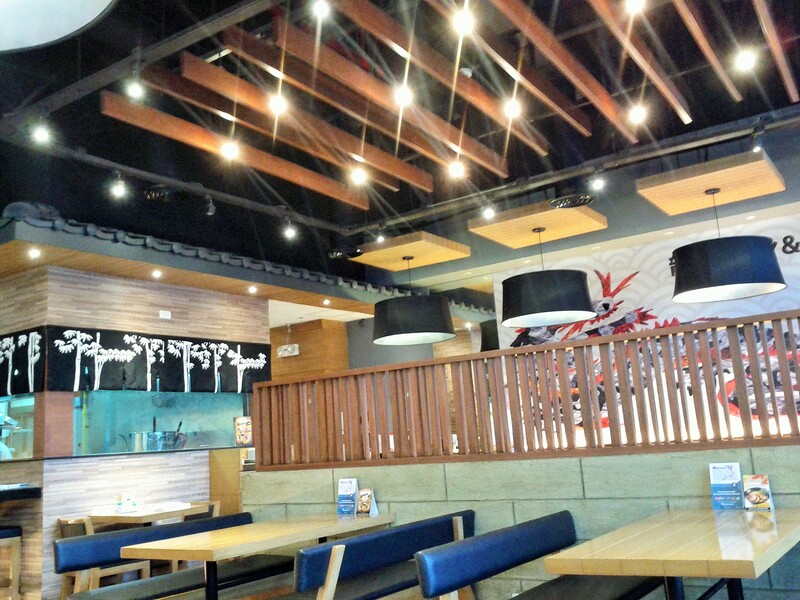 The interiors were nicely appointed, comfortable seating arrangements with the couch and a general Japanese theme that adds to the overall dining experience. 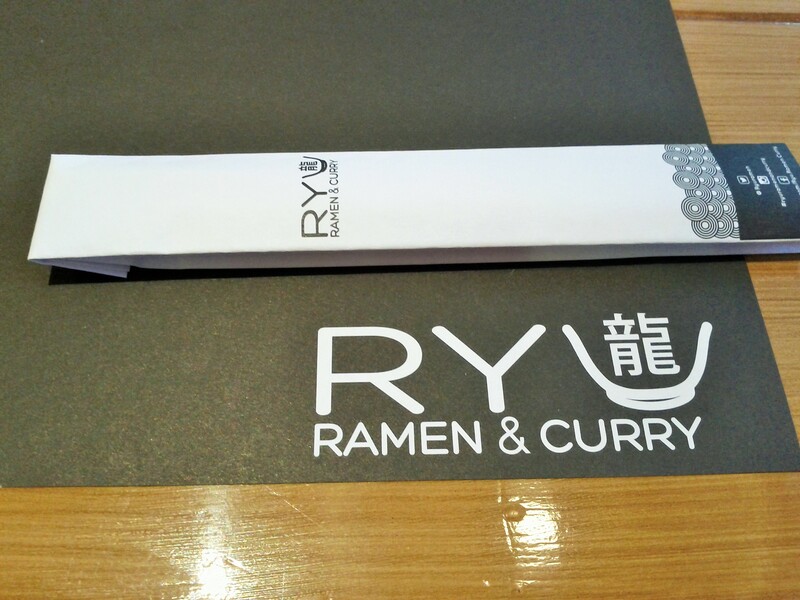 I would definitely go back and try other dishes, since the ramen was extremely promising. I’ve always believed that if you offer a few great things, it would be much better than offering a slew of selections that are half-baked. 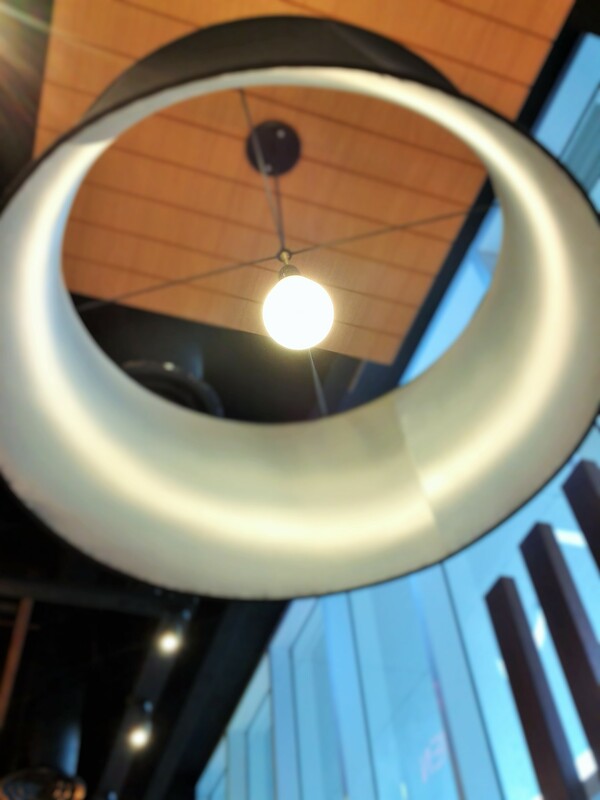 In Ryu, although they only have Ramen and Curry, I’m quite sure that for the foodie and the casual diner, the quality would be enough to speak for itself and sell the underrated goodness of this Japanese ramen restaurant. Price is a bit on the expensive side, since it’s more of a casual dining restaurant but it’s acceptable because of the quality. To note, I was surprised that this was owned by Mr. and Mrs. Ogie Alcasid and Regine Velasquez – Alcasid, fast fact. 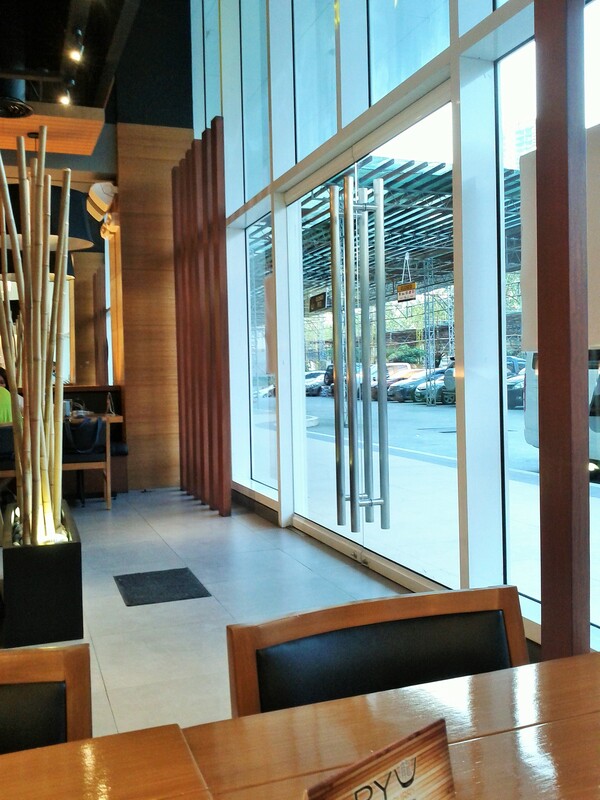 This entry was posted in Asian Dishes, Japanese, Makati and tagged asian, japanese, Makati, noodles, tempura by manilafoodblog. Bookmark the permalink.